The 6.6L LBZ engine was 3rd generation of Duramax engines made available, but it was only present for a short amount of time. The LBZ is a turbocharged V8 engine. To be specific, the Duramax engine is produced by a company called DMAX Ltd. which was originally a joint venture between GM and Isuzu in the late 1990s. 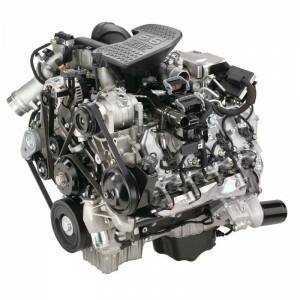 The Duramax engines, however, are only used in GM products. The LBZ specifically was available in Chevrolet Silverado and Kodiak, as well as in the GMC Sierra and TopKick. The LBZ replaced the LLY and offered a number of changes that allowed the engine to produce significantly more power than its predecessor. The Duramax LBZ was first introduced in 2006 as a replacement for the LLY engine. The LBZ offered significantly more power but was only available until the middle of 2007 when it was replaced by the LMM. The primary reason for replacement was due to stricter emissions standards, as the LBZ was the final Duramax engine that did not require a diesel particulate filter (DPF). The DPF certainly makes the engine appear much cleaner as it prevents the large amounts of soot from going directly out the tailpipe, but there are also several drawbacks to the DPF. One such drawback is the backpressure which adds additional load to the engine as increases in backpressure make the engine work harder to get the air out of the cylinders. Another major drawback is the fuel economy penalty that is most notable when the DPF is being cleaned. The fact that the LBZ had the increase in power and the latest technology but without the DPF is a major reason for the engine’s popularity. The LBZ also offered a significant performance increase over the LLY that it replaced. The LBZ was able to achieve 360 hp at 3200 RPM, 50 horsepower more than what can be reached with the LLY. The peak torque for the LBZ is 650 lb-ft, reached at 1600 RPM, also a significant improvement over the 605 lb-ft that can be reached by the LLY. The 6.6 L engine, or 402.8 cubic inches, achieves this displacement using a bore of 4.06 inches along with a stroke of 3.90 inches. The LBZ used a cast iron engine block in combination with aluminum cylinder heads. The engine also utilized a Bosch high-pressure common rail fuel system that reached 26,000 psi, along with 7 hole fuel injectors for better distribution of the fuel throughout the cylinder and as a result a more efficient burn. Other major improvements were a stronger block and stronger connecting rods which enabled the engine to reach the higher power ratings with low risk of engine damage. Although the strict 2007 emission standards were not yet fully implemented, the emissions standards at the time did require the use of exhaust gas recirculation (EGR) as well as a diesel oxidation catalyst (DOC) integrated into the exhaust pipe, which was designed to clean any unburned hydrocarbons or carbon monoxide gases. The valvetrain used was the common camshaft in the block with pushrods driving the overhead valve system. There were 4 valves per cylinder, 2 intake and 2 exhaust, for a total of 32 valves on the V8 engine. The LBZ was short-lived, but was a very powerful engine, and became even more popular for used truck sales as it was the last engine without a DPF. Although the engine did not last long, it was a natural progression as GM prepared for its next series of engine that did utilize the DPF technology. This V8 engine uses a turbocharged induction system to achieve an impressive 360 hp, which was very competitive in that competition market at the time.